Keystone industrial manganese phosphate coating is a process used on steel parts to improve corrosion resistance and lubricity. It can also be used as a foundation for subsequent coatings like oil, wax or paint. We at Keystone Corporation can accommodate both small and large parts, for nearly every project you have in mind. 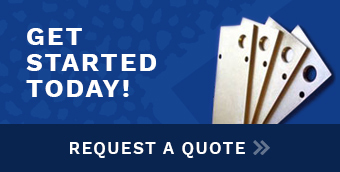 We've been in the metal coating business since 1928, and we pride ourselves on our extensive experience, on-time delivery, and customer satisfaction. Because Keystone Manganese Phosphate coating can be used in a variety of applications, we use facilities that are capable of accommodating a wide variety of project and part sizes. Please call us today to inquire about your manganese phosphate coating needs. Keystone Corporation's manganese phosphate meets the following specifications. If you're interested in manganese phosphate as a coating for your part or project, or would like more information about our coating process, give us a call or contact us today. Keystone Finishing will get the job done right for you.